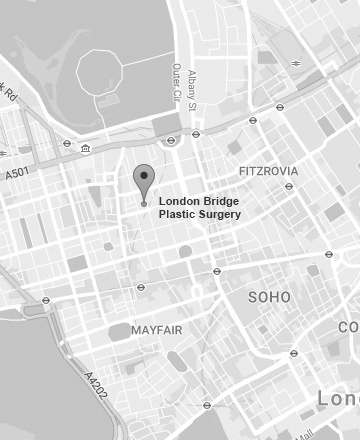 London Bridge Plastic Surgery is located at 54 Wimpole Street, in the heart of London’s medical district, parallel to the famous Harley Street and a stone’s throw from bustling Oxford Street and the West End. Harley Street is famous throughout the world as the destination to visit when in search of the very best that modern medicine can offer. Since the 19th century, this area developed as a centre of medical excellence, starting probably because of the proximity to the main railway stations such as King’s Cross and Paddington. By 1914 there were around 200 doctors practising in this area, and following the initiation of the NHS in 1948, around 1500. The practitioners at Harley Street became leaders in their fields, establishing specialist clinics, publishing research, involving themselves in medical societies and shared and developed information and research. This knowledge was then able to be passed down to the next generation of doctors. One of these fields was that of Reconstructive and Plastic Surgery which developed through sharing knowledge and pioneering treatments and surgeries, developing particularly after WW1. Sir Harold Gillies is often considered to be the father of plastic surgery after his pioneering surgery on soldiers who had been disfigured during the war. Where he led, others followed. The proximity to excellent hospitals and knowledge in the Harley Street area was a magnet for Plastic and reconstructive surgery, and this area now contains some of the world’s leading Plastic and Reconstructive Surgeons and their clinics. Cosmetic Surgery and Aesthetic treatments arose from these skill sets, and in recent years in particular, there has been an explosion in research, interest, and Cosmetic procedures carried out. London Bridge Plastic Surgery & Aesthetic Clinic sits proudly at the centre of medical knowledge, and our easy access to the best hospitals and training allows us to offer the ultimate in patient care and medical expertise. In fact, there are over 65 plastic surgeons operating in the area of Harley Street, although few can compare to the depth of experience and level and range of services and expertise available at LBPS. The history of the Harley Street area reflects perfectly our philosophy of excellence which is second to none. Harley Street is owned by the de Walden family and managed by their estate. It was Edward Harley, 2nd Earl of Oxford and Earl Mortimer, who started the development of the land in this area. By marriage, this passed from the Harley family to the Portland family, and then to the de Walden’s who retain ownership to this day. Illustrious figures have come and gone and left their mark on Harley Street. Some famous names include Lionel Logue who cured George VI of his stuttering; Florence Nightingale, the ‘lady with the lamp’; Sir William Gladstone, Victorian prime minister; Dr Edward Bach who developed the Bach Flower Remedies; Sir Frederick Treves, who carried out the first appendectomy; Turner, the artist…and the list goes on. If you take a walk along Harley Street you will easily spot the blue English Heritage plaques that are in abundance, noting the famous people that have made Harley Street their home in the past.